I’m (still) in the middle of writing a large summary of my thoughts on education and how can we develop a better way to provide education to as many students as possible. Unsurprisingly, this is a large undertaking and I’m expecting that the final document will be interesting and fairly controversial. I suspect that one of the major problems will stem from things that I believe that we have to assume are true. Now this is always challenging, especially where evidence is lacking, but the reason that I present for some of these things to be held as true is that, if we hold them as false, then we make them false as a self-fulfilling prophecy. This may not be purely because of our theoretical framework but it may be because of what we do in implementation when we implicitly declare that something no longer needs to be worried about. 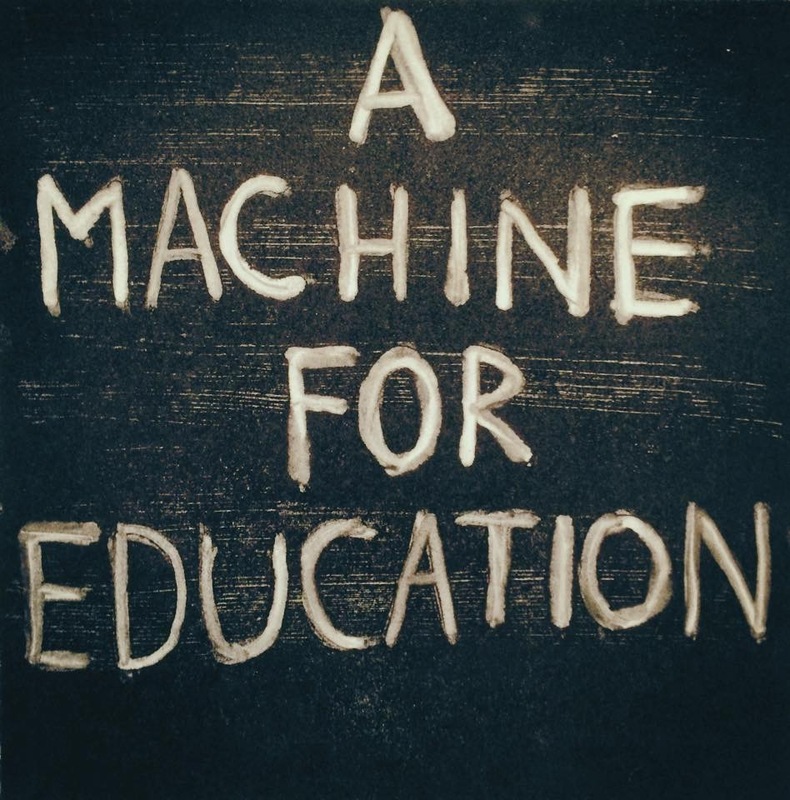 I am looking to build a better Machine for Education but such a thing is always built on the assumption that better is something that you can achieve. So what are these assumptions of truth? That our educational system can always be improved and, hence, is ready for improvement now. It has always surprised me when some people look at dull and lifeless chalk-and-talk, based on notes from 20 years ago, and see no need for improvement, instead suggesting punitive measures to force students to sit and pretend to listen. We have more evidence from research as to what works than we have ever had before and, in conjunction with centuries of careful thought, have a great opportunity to make change. That everyone on the planet can benefit from an improved educational system. Yes, this means that you have to assume that, one day, we could reach everyone on the planet. We cannot assume that a certain group can be ignored and then move on. This, of course, doesn’t mean that it all has to happen tomorrow but it does mean that any planning for extending our systems must have the potential to reach everyone in the country of origin and, by extension, when we have every country, we have the world. That an educational system can develop students in terms of depth of knowledge and skills but also in terms of their scholarship, breadth of knowledge, and range of skills. We currently focus heavily on training for quite narrowly specified professions in the general case and we do this to the detriment of developing the student as a scholar, as a designer, as a thinker, as a philosopher, as an artist and as a citizen. This will vary from person to person but a rich educational grounding is the foundation for better things in later life, more flexibility in work and the potential for more creativity and autonomy in leisure. Ultimately, we want our graduates to be as free to create as they are to consume, rather than consigning them to work in tight constraint. That we can construct environments where all students can legitimately demonstrate that they have achieved the goals of the course. This is a very challenging one so I’ve worded it carefully. I have a problem with curve grading, as everyone probably knows, and it really bothers me that someone can fail because someone else passed. I also think that most of our constraints are highly artificial and they are in place because this is what we did before. If we start from the assumption that we can construct a system where everyone can legitimately pass then we change the nature of the system we build. That all outcomes in an educational system can be the combination of personal actions and systemic actions, thus all outcomes must be perceived and solutions developed through both lenses. So students are handing in their work late? This assumption requires us to look across all of their activity to work out why this is happening. This behaviour may have been set in place earlier on in their educational career so this is a combination of the student activity triggers of value, motivation and instrumentality and a feedback system that is part of an earlier component of the educational system. This does not absolve the student of questionable practices or ‘anti-educational’ behaviour but it requires us to not immediately assume that they are a ‘bad student’ as an easy out. Ultimately, these are just some of the things I’m looking out and I’m sure that there will be discussion in the comments but I have set these to stop the shortcut thinking that does not lead to a solution because it pushes the problem to a space where it does not have to be solved. If we start from the assumption of no bad students then we have to collect actual evidence to the contrary that survives analysis and peer review to locate where the help needs to be given. And this is very much my focus – support and help to bring people back to a positive educational experience. It’s too easy to assume things are false when it makes the job easier – as well absent a very human response for an over-worked sector. I think it’s time to plant some flags of assumed truths to change the way we talk and think about these things. While I agree with “That we can construct environments where all students can legitimately demonstrate that they have achieved the goals of the course” as stated, I think that you will have to be very careful in how you explain it. Too many people will see it as “all students must pass”. You must also allow for the possibility that no students demonstrate that they have achieved the goals of the course. Current US educational environments assume that almost all students must pass, no matter how little they have achieved. Too many people will see your point as turning “almost all students must pass” into “all students must pass”, rather than as a call for legitimate demonstration that students have achieved the goals of the course. Well, educating them is my first goal. This is why I am focussing on the system. “That everyone on the planet can benefit from an improved educational system” is fairly obvious, but your conclusion “that any planning for extending our systems must have the potential to reach everyone” doesn’t follow. Requiring that all improvements must scale to everyone means that many useful and practical improvements can’t be tried. If the only education available is that which can be provided to everyone, then very little education will be available. I’m not just talking about resource limitations (which are important) but also the capabilities of students—”everyone” includes a lot of people who do not have the mental capabilities of an average 6th grader. Following your reasoning, we should not be looking at teaching anything higher, since it doesn’t have the potential to reach everyone. Providing education to everyone has never meant providing the same level of material or tests to everyone regardless of level or we wouldn’t have different grades.